The 2015 Autobacs Super GT Series season will come to a close on Sunday (or late, late Saturday evening) – and yet again, we’re going to have a thrilling race for the GT500 crown with six teams and their twelve drivers still mathematically eligible for the championship going into this final 250 kilometer race at Twin Ring Motegi. The GT300 title has already been decided in favor of International veteran racer Andre Couto, who won the Drivers’ Championship for GAINER at Autopolis. It was an emotional scene after the race, after Couto, a veteran of eleven seasons in GT500 and now two seasons in GT300 competition, dedicated the championship to his team, who won a Drivers’ Championship for the first time in over a decade of racing, his 2015 co-drivers Katsumasa Chiyo (who really should be considered for Driver of the Year honors in any credible sports car racing publication) and Ryuichiro Tomita (who will almost surely be in the frame for a full-time GT300 drive next year), and then to his late son Afonso, who died of childhood leukemia in November of 2010 at the age of seven. Couto and Chiyo won’t have to push too hard when they race at Motegi with the championships already decided, however, if they drive the Tanax GT-R to a podium finish, Couto will be the first GT300 driver to amass 100 points in a season since Keiichi Suzuki and the late Shingo Tachi in their historic 1998 season, where they won an astonishing five of six races driving a Toyota MR2 jointly fielded by Team Taisan and Tsuchiya Engineering (now Team Samurai). While NASCAR Nation makes a big hoopla about four-time series champion and six-time race winner in 2014 Jeff Gordon being pushed – figuratively and quite literally – out of the final race for the championship by Ryan Newman, who so far has yet to win a race in the 2014 season and could, if he does not win this weekend but just finishes ahead of Kevin Harvick, Denny Hamlin, and Joey Logano, could become the first driver in the modern era of what is now the NASCAR Sprint Cup Series to win the championship without winning a single race – therefore invalidating the new, polarizing Chase for the Championship format that was based entirely upon rewarding individual race winners – I, as a fan and ambassador for the Super GT Series, would like to tell you, the reader at home and abroad – we did it first, and we did it better! Three times in fact. Three times in a span of four years, the GT500 class champions have won the championship without having a single race victory: Ryo Michigami was the first zero-win champion of the JGTC in 2000, Yuji Tachikawa and Hironori Takeuchi repeated a year later, and Satoshi Motoyama and Michael Krumm did it in 2003. And they didn’t need no stinkin’ elimination-style championship format to pull it off! Just a consistent strategy of scoring points and avoiding excessive weight handicaps accumulated over the course of a season! There will not, however, be a winless champion in the GT500 class when the championship is decided this weekend at Twin Ring Motegi this Sunday (or late Saturday depending on which time zone you’re watching from). 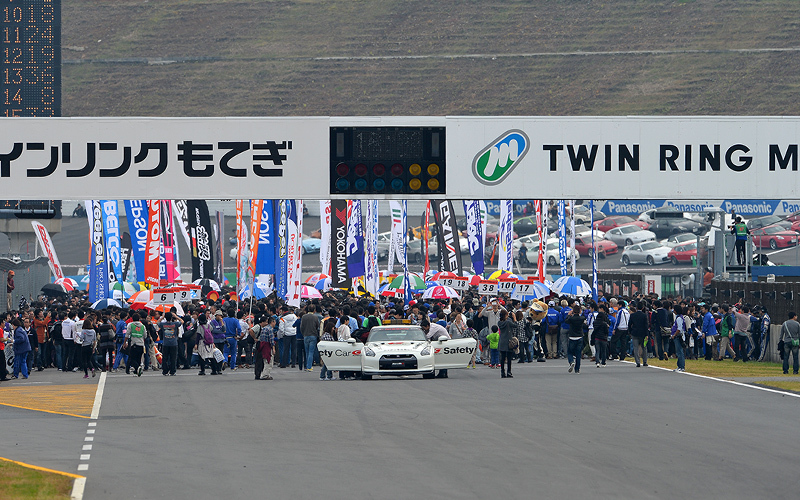 Motegi, of course has been no stranger to crowning champions, even beyond hosting the final round of the Super GT Series championship annually since 2009. A month ago, Marc Marquez captured his second MotoGP championship in as many seasons at Motegi. 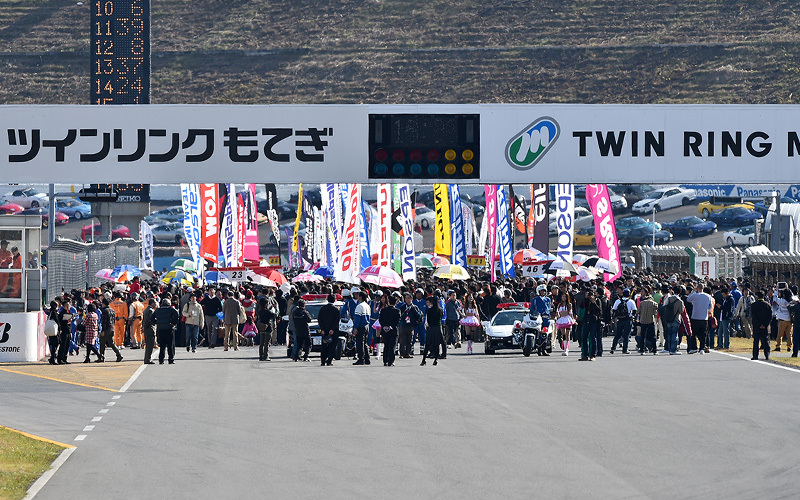 Motegi has also hosted CART World Series and IndyCar Series championship events as recently as 2011, and NASCAR exhibition events back in the late 1990s when the circuit was a new attraction. 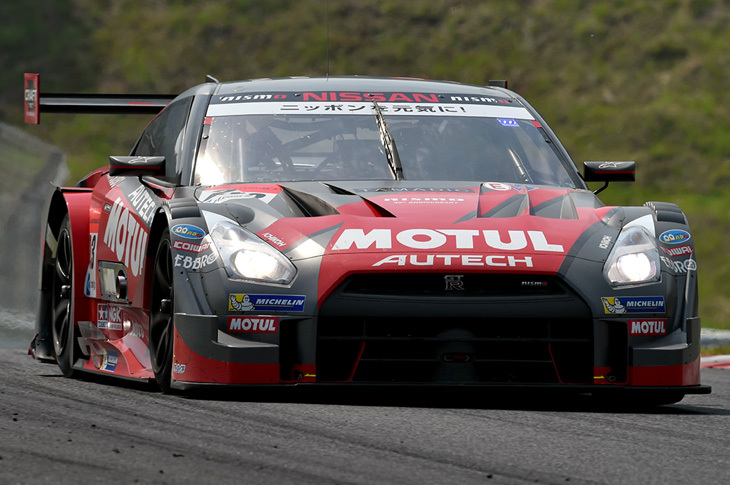 If you need to catch up and binge-watch the entire season of action before the race this weekend, please consult the newly-updated 2014 Super GT masterpost! Yep. Forget all the accumulated success ballast over the course of the season – it’s gone, all of it, for the first time since the season opener all the way back in April at Okayama Circuit. This means that the only factors that will determine the championship outcome from here on out should be the drivers’ skill and the tactics of the engineers and principals on the pit wall, with only marginal differences between the three manufacturers’ cars in GT500 and how they work with the various tyre manufacturers. And at 250 kilometers in length, the shortest race in the series will be a true sprint to the championship. The Autobacs Super GT Series returns to action on October 5th at the Chang International Circuit in Buriram, Thailand for the inaugural running of the Buriram United Super GT Race. Thailand succeeds Malaysia and the Sepang Circuit as the series’ lone fly-away event in the championship, after nearly fifteen years of Super GT cars racing at Sepang. This race, and then the final round of the championship at Twin Ring Motegi in November, will decide who comes away with the GT500 championship in 2014. To make things more interesting, the weight handicaps that have been accumulated by all the teams over the first six races have now been reset to one kilogram per point scored. By letter of the law, teams are allowed a maximum of 50kg of physical lead ballast, with any additional success ballast added on as fuel flow restrictions. Those fuel flow restrictions create interesting strategic battles for endurance races like the one at the Suzuka 1000km this August, but with the remaining two events being 300km and 250km respectively, it was a good move for the series’ sanctioning body, the GTA, to “trim the fat” in a manner of speaking. It’s a much more extreme version of the Balance of Performance system from the World Endurance Championship and United SportsCar Championship, or the ballast systems used in the British Touring Car Championship and the DTM. At least seven teams and driver combinations representing all three manufacturers in GT500 – Lexus, Nissan, and Honda – have a mathematical chance at winning the title with two races to go and a maximum of forty (40) points available. Let’s take a look at what’s at stake for these teams and their drivers.